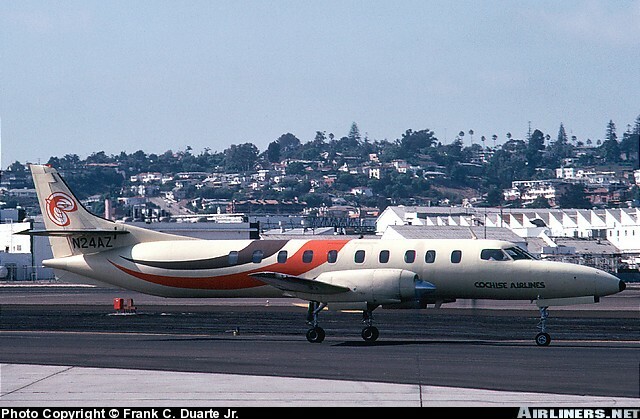 Cochise Airlines Swearingen SA-226TC Metro II, N24AZ, is shown at San Diego in August 1981. Tucson-based Cochise Airlines began operations in September 1971 and was one of the first commuter airlines to receive official CAB certification. The carrier ceased operations on June 2, 1982.